Doctors say that the second most common type of cancer in both men and women is lung cancer. The good news is lung cancer is a highly treatable disease if it’s detected very early. The bad news is lung cancer does not usually cause any sign or symptom during its early stages. So in other words, its presence is usually discovered only when it’s already in a more advanced stage, making it harder to treat. 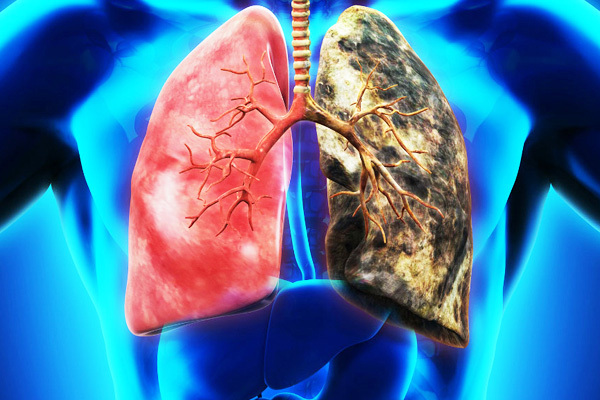 This article will focus on the risk factors of lung cancer. A risk factor is anything that can increase your likelihood of developing or suffering from a medical condition. However, refrain from assuming that you will surely battle lung cancer one day if you have one, some or many of its risk factors. According to experts, some people who are suffering from lung cancer did not have any of its risk factors before they were diagnosed with such. Similarly, there are so many individuals out there who have the different risk factors yet their lungs are absolutely cancer-free. Do you smoke and you have no plans on quitting any time soon? Then don’t be surprised if your doctor told you one day that you officially have lung cancer. According to health authorities, smoking is the number one risk factor for lung cancer. In fact, around 80 percent of people who die of lung cancer are smokers. Your risk of suffering from lung cancer increases the longer you smoke cigarettes and the more cigarettes you smoke every single day. Just because you are not a smoker doesn’t mean right away that you are out of the woods. That’s because inhaling smoke coming from someone’s mouth or cigarette stick is also regarded as a lung cancer risk factor. Experts say that in the US each year over 7,000 people die of lung cancer brought about by secondhand smoke. Needless to say, you should do your best to stay away from smokers each time they are smoking if you wish to considerably lower your chance of facing lung cancer in the future. Just like so many other forms of cancer, lung cancer is something that tends to run in families. It only means that you are at risk of suffering from it if an immediate family member such as your parent or sibling has it.This is most especially true if the family member with lung cancer was diagnosed with the disease at a young age. By the way, also a risk factor is a personal history of lung cancer. In other words, you may develop lung cancer one day if you had it in the past. The nature of your work can have an impact on your chance of developing lung cancer in the future. There are many carcinogens that may be inhaled in certain workplaces, and some of them include silica, vinyl chloride,mustard gas, cadmium, beryllium and arsenic. You may also be at risk of having lung cancer if you work with asbestos. Doctors say that pairing asbestos exposure with cigarette smoking considerably increases your odds of suffering from lung cancer. Feel free to share this article on your various social media sites in order to get everyone you care about also know these common risk factors for lung cancer. If you have a lot of the risk factors stated above, you may consult your doctor on how you can considerably lower your chance of suffering from lung cancer one day.